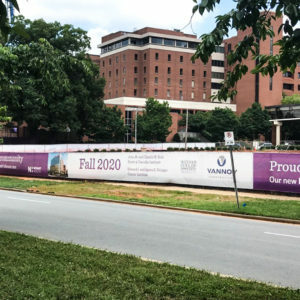 Novant Cancer and Heart Care Center (new build) Located in Charlotte, NC; This project is a fence screen, made of a mesh vinyl material. 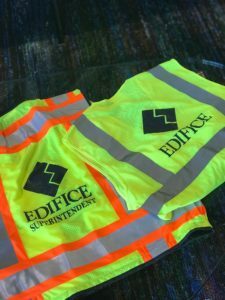 This was custom designed & produced by Sharpe Co.
Edifice screen printed PIP Heavy Duty Surveyor iPad vest and Class 2 Mesh Pocket vest. 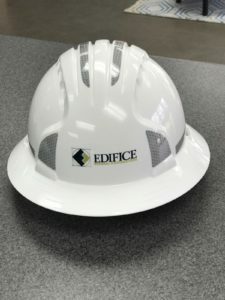 JSP Evolution Deluxe Full Brim Hardhats with logo screen printed with Edifice logo.